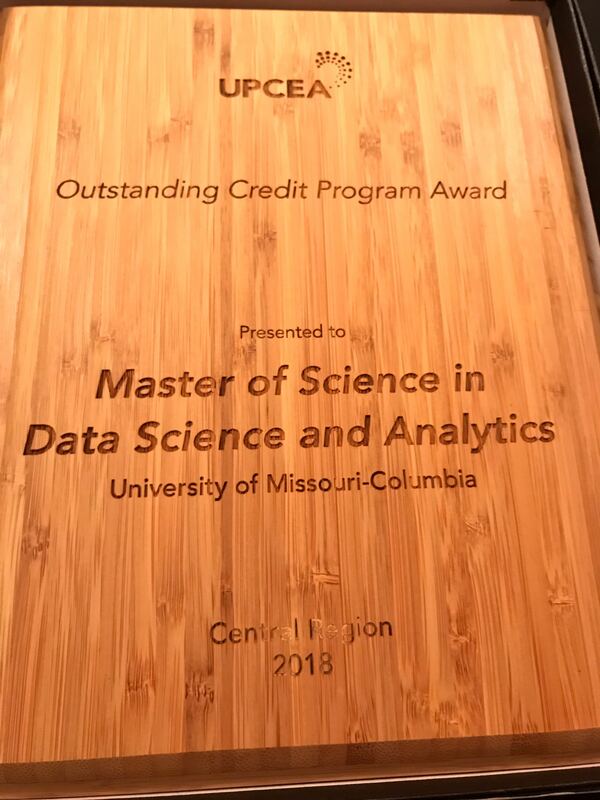 Approved by Missouri Coordinating Board of Higher Education in 2016, the Executive interdisciplinary MS degree in Data Science and Analytics has seen tremendous growth over the last couple of years. Thanks to Dr. Grant Scott and Dr. Sean Goggins for their co-leadership in assisting Dr. Shyu and MUII in the development and management of the program during this crucial inaugural stage. 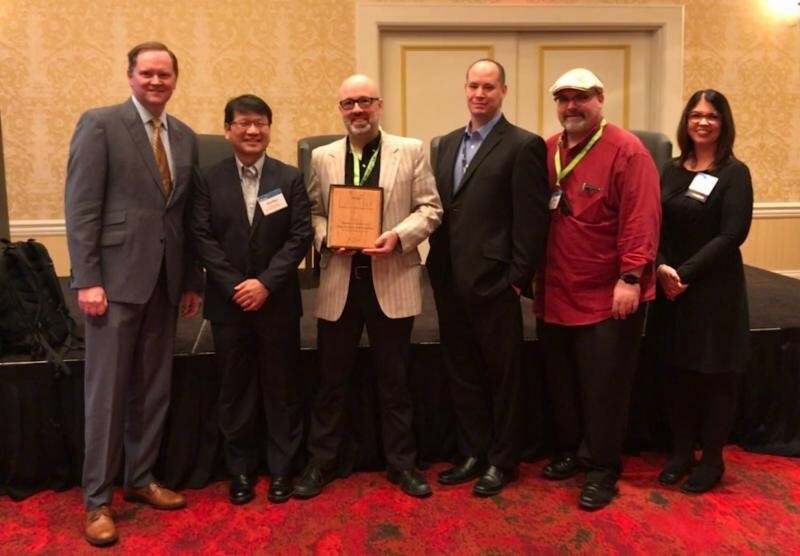 On September 27, 2018, the DSA program received the Outstanding Credit Program Award from the University Professional and Continuing Education Association (UPCEA) during the Central Region Conference in St. Louis. Kudos to our outstanding faculty, staffs, and Teaching assistants. More importantly, thank you to our students who are working professionals with great motivation and dedication for learning state-of-the-art data science technologies for their career advancement!